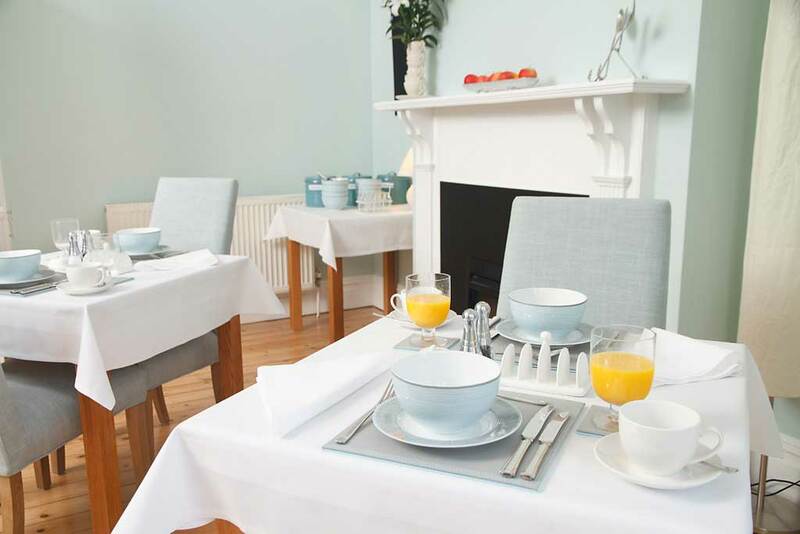 At Sayle House we serve a delicious breakfast that will set you up for the day ahead whether exploring the delights of Cambridge or a busy day's work. The breakfast room is spacious and tranquil, decorated in simple soothing colours and each table has a view over the garden. Subject to the vagaries of the British climate the French doors to the garden may be opened or if it's a really good day breakfast may even be taken outdoors on the patio. In colder weather the fire may be lit to ensure a warm and comfortable start to the day. 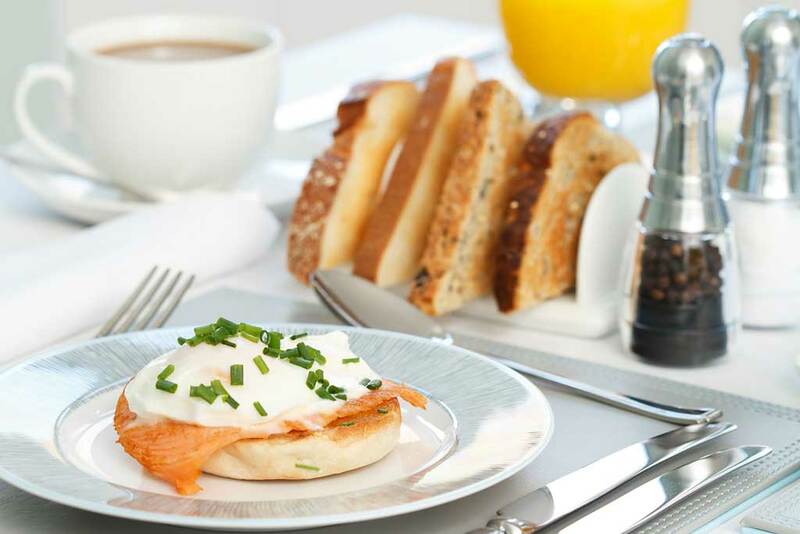 Breakfast is informal and relaxed and we will endeavour to meet any specific dietary requirements. 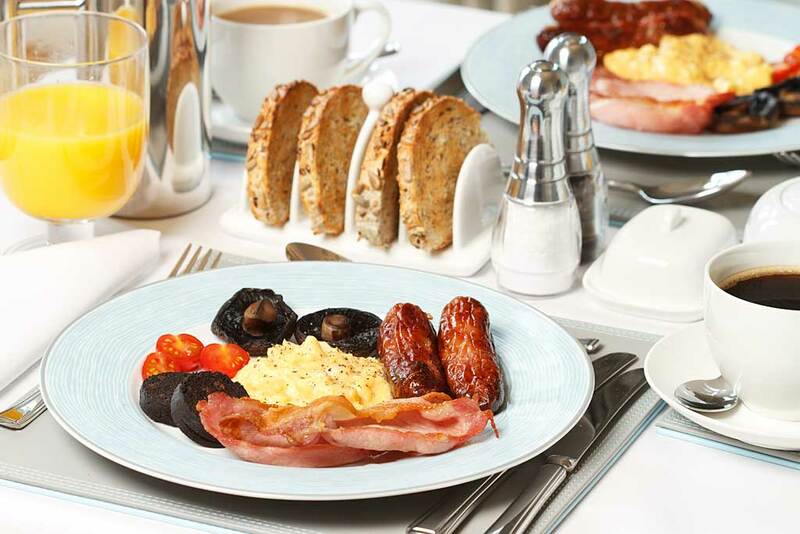 There is a choice between a full English breakfast or a lighter cooked breakfast. 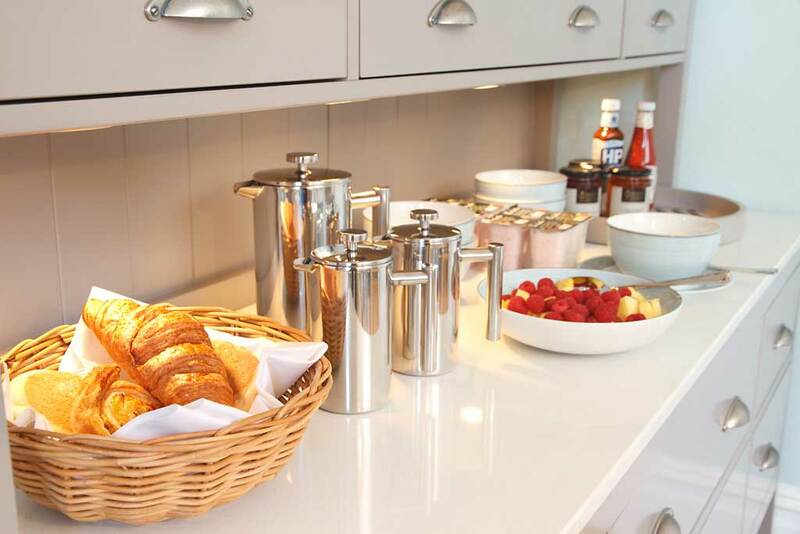 In addition there is a sideboard with a selection of fresh fruit, bio-organic yoghurt, organic granolas and muesli. We also offer fruit juice, freshly brewed coffee and a selection of teas. Wherever possible we source local produce which is free range and organic. Our teas and coffees are Fairtrade. 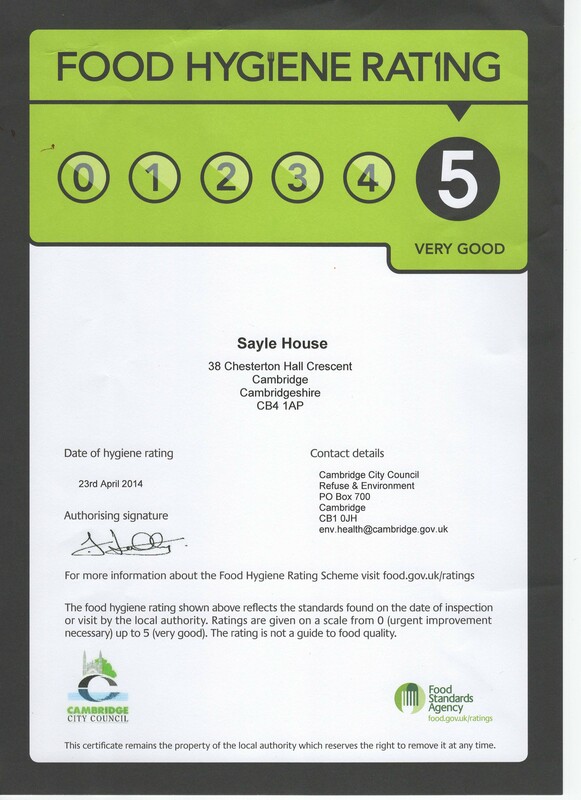 At Sayle House we strive to deliver quality in everything we do so we are proud of our Food Hygiene Rating of 5 (the Food Standards Agency's highest rating = Very Good).